Can you believe it? I got this coffee card at the very end of January, and now it’s finally complete. The task? 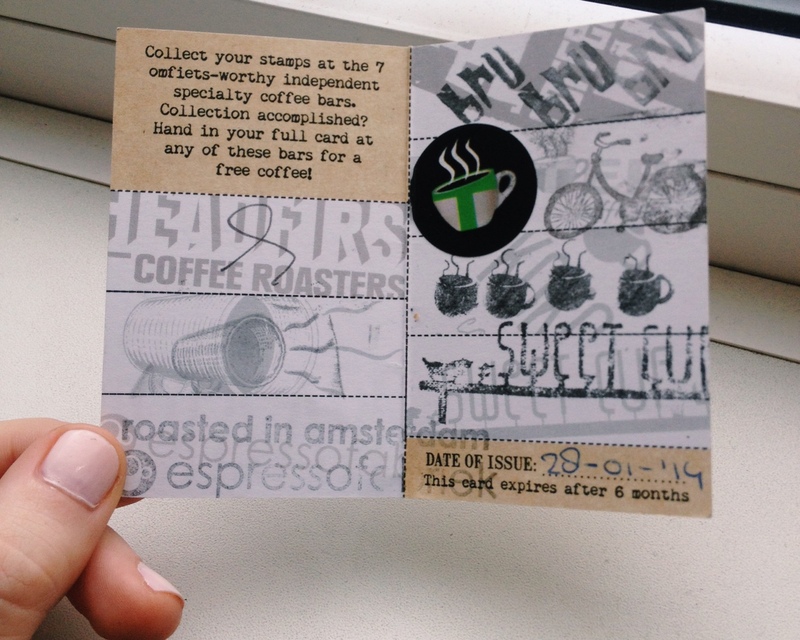 Go to the seven independent coffee bars in Amsterdam, and then get a free coffee of your choice when you are done! I don’t know where I’ll redeem my free coffee from… probably Koko or Espressofabriek. These cafes really varied in location, so I’m happy I made it to all of the unique places. Reviews of all are on my Amsterdam Cafe Bucket page. Headfirst coffee roasters, Screaming Beans, Espressofabriek, Coffee Bru, Trakteren, Koko, Sweet Cup!